Should I get a cat or kitten? How can I choose a cat that is right for my family? Can I get a cat if I have children? Is my home the right place for a cat? Getting a cat and not sure where to begin? Find out more about choosing the right cat for you. Whether you’re a lifelong cat-lover or embracing the idea of a new pet, getting a new cat or kitten is a great experience. At Cats Protection, we believe in matching the right cat to the right home. After all, just like people, all cats are different. Our centres are full of cats and kittens seeking a permanent home – in fact, in 2017, we homed 43,000 cats. We aim to encourage potential owners to consider adopting from us or other welfare organisations to ensure all cats have the opportunity to be homed. If you are sure you want to purchase a cat, always ensure you’re buying from a reputable breeder or seller. Kittens in particular should be visited when they are still with their mother and should look healthy, alert and sociable. You can find out more about what you should be looking for in our guide. It can be difficult to resist getting a kitten, especially if you’re getting a cat for the first time. While they are cute to look at and full of energy, they also demand a lot of time and patience from their owners. There is no indication of what your kitten will be like when they become an adult too, as cats don’t tend to form an established character until they’re at least a year old. If your household is more suited to a more laid-back character, it is best to choose a cat that is a little older. Adult cats are usually more settled and less likely to get up to mischief than kittens. Some of them will even be keen to cuddle up on the sofa or lounge around at your feet. By the time a cat is grown, their personality is well established. You may even be able to find out from their previous owner about their food intake, litter tray habits and character, making it easier for them to settle into their new home. Mature moggies, or cats that are older than seven years old, are ideal for quieter households. While older cats aren’t always the first choice of potential adopters, they’re well worth considering as a pet. They are likely to be quieter throughout the day, sleep through the night and less likely to wander from home. Find out more about elderly cats in our guide. You might be suprised to learn that kittens don't remain kittens for long and mature moggies aren't as old as you think. Take a look at our visual guide. All cats have different personalities, in the same way that humans do. Some are content to be handled, making them the perfect pet for children or older people. Others will shy away from attention, only interacting when they choose to. If you’re unsure how to choose a cat, consider whether you’d like an energetic of playful pet, or whether you’d be more compatible with a cat that spends its time curled up asleep! When visiting our branches and centres, you’ll get a good idea of what each cat is like from their descriptions, or by talking to some of the volunteers and staff that look after them. Do you have children at home, or even other pets? Are you concerned about the best cat for a busy family? Choosing a cat that will suit your circumstances is vital. 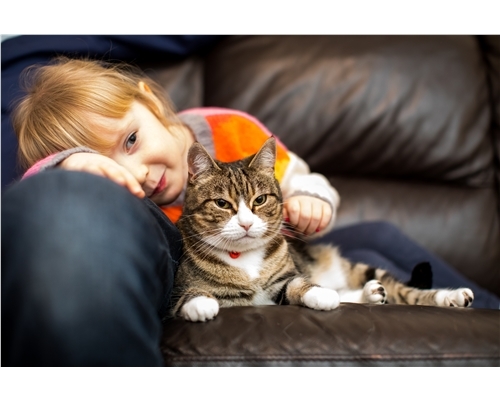 Cats and kids can become great companions as they grow and having a pet can be of great benefit to little ones. However, you’ll need to bear in mind a cat’s previous experiences and personality as well as ultimately what you are looking for in a pet. While children might be enthusiastic about homing a cute kitten, kittens need plenty of care and attention as well as regular supervision. Adult cats can be less frenetic, which suits many families. Teaching children basic cat care as well as how to treat them carefully is a great idea and encourages a sense of responsibility too. Cats are generally good with babies, choosing to either become friendly with them or stay well out of their way. If you’re expecting a new arrival and you’re worried about choosing a cat, there are plenty of things you can do to help them settle in. Take a look at our guide. Find out more about getting a cat if you have children. If you have other pets in your home, think carefully about whether they are likely to get on with a new cat. 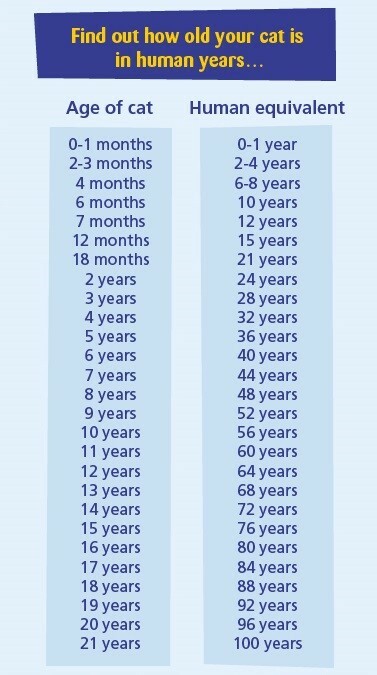 Consider your animals’ ages, personalities and previous experiences. Cats are solitary creatures, meaning they tend to want to live alone and don’t need ‘friends’. Some cats can tolerate other cats when they come into the home, others will find it impossible! Consider your existing cat’s behaviour and how they will react – introducing a kitten into the household might be easier than introducing another adult cat into their territory. Don’t believe the age-old stereotype about warring species – some cats and dogs can live together in harmony. Think about your dog’s personality and behaviour towards felines. Have they come across a cat on their walks and reacted negatively? Do they get along with cats in the neighbourhood? As long as they don’t react aggressively towards cats, they should be able to share their home with a little guidance. Introducing your new cat to your dog is the most important thing you can do, and shouldn’t be rushed. First impressions count and it is easier to arrange a gradual introduction than repair a damaged relationship between your cat and dog. You can find a step-by-step guide below. Find out more about introducing your cat to your dog. While cats really do make a house a home, you’ll need to think about the right pet for where you live. Cats that love to venture outdoors are ideal for those with gardens, while those with limited space might like to consider choosing a cat that is indoor only, or has specialised needs. Blind cats or those with Feline Immunodeficiency Virus (FIV) need to stay indoors and usually only need specialised diets or medication as well as plenty of love. Indoor cats can be perfect pets for older people or those in search of a quieter feline companion, without worrying about them wandering from home. Find out more about indoor cats.